Astro Manufacturing & Design is at the forefront of advanced machining services. We have invested heavily in a variety of EDM technology. In addition to our wire EDM services, we also offer precision sinker EDM services. With sinker EDM technology, Astro can manufacture parts of extreme complexity—even with the most rigid materials. Astro’s CNC sinker EDM machines enable us to machine complex profiles into a surface, or add threads within a fully hardened part. 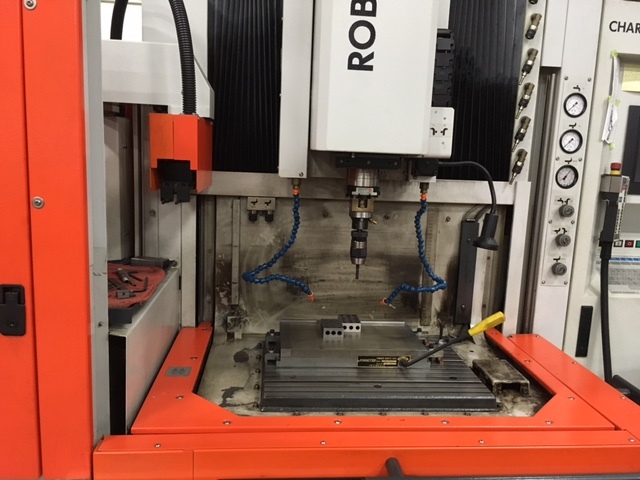 We operate a wide assortment of sinker EDM machines to cover a range of close tolerance parts, from very small components to those requiring working areas as large as 19” x 16” x 11.5” high. Our highly skilled machinists and engineers can offer design suggestions that will help ensure the most cost effective method to develop your parts. We provide some of the fastest, most accurate sinker EDM machining services available. Contact us today to learn more about Astro Manufacturing & Design’s sinker EDM services.